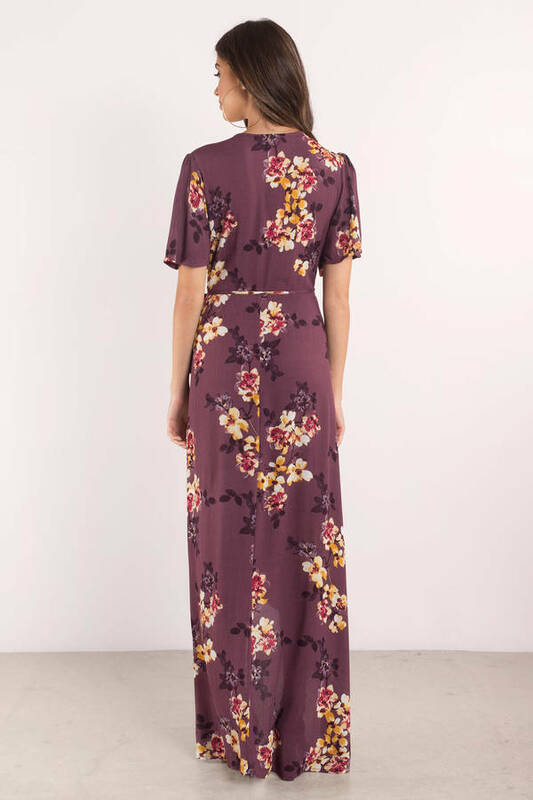 Check out Tobi's Wild Flower Maxi Dress Maxi kimono dresses make such a classy 'fit for fancy evenings. 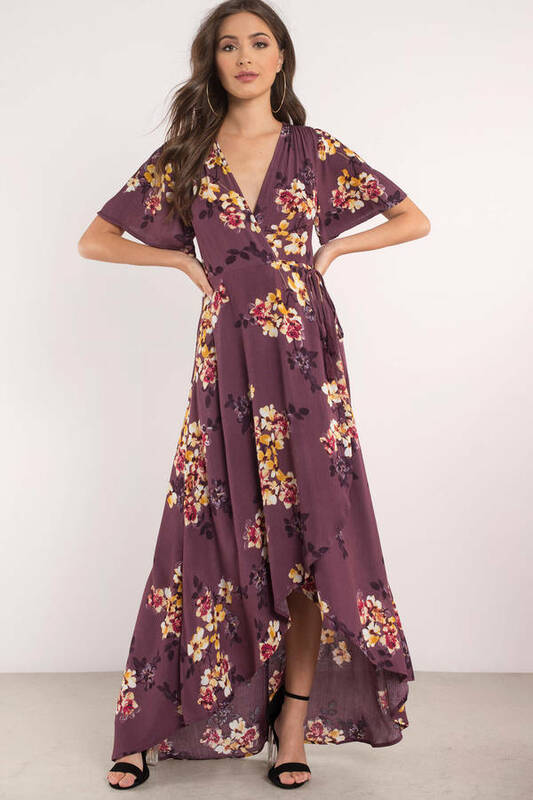 The Plum Wild Flower Maxi Dress has a gorgeous floral print all over, with a wrap silhouette, tie waist, and wide short sleeves. Just add block heel sandals to this floral print high low dress and go wild. Maxi kimono dresses make such a classy 'fit for fancy evenings. 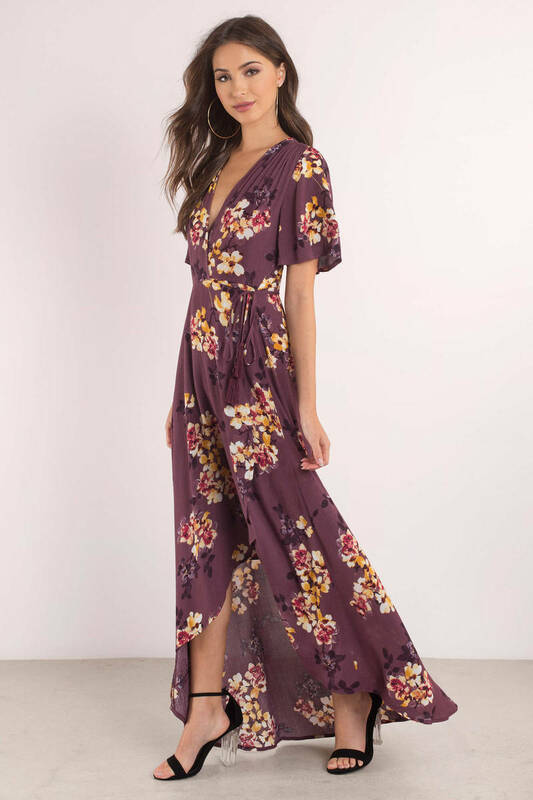 The Plum Wild Flower Maxi Dress has a gorgeous floral print all over, with a wrap silhouette, tie waist, and wide short sleeves. Just add block heel sandals to this floral print high low dress and go wild.